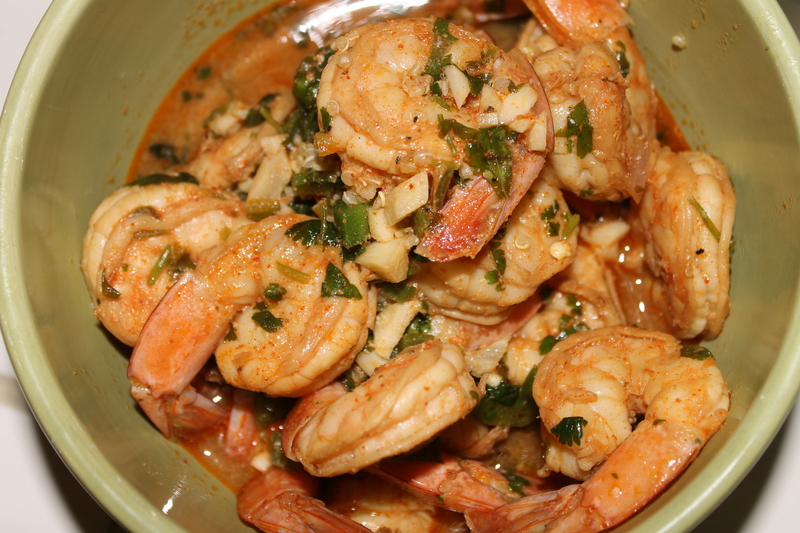 I made cilantro chili – lime prawns yesterday for a friends BBQ. I feel like I always try to think outside of the box when bringing things to parties mostly so people can try new things, but also because the regular stuff like potato salad, fruit salad and whatever else can often be boring. This recipe was really easy and fast. I am always browsing the internet for new recipes and am very glad I stumbled upon this one. One thing I want to say- is that just because there is a recipe doesn’t mean you can’t change a few things here and there. Marinate the shrimp. 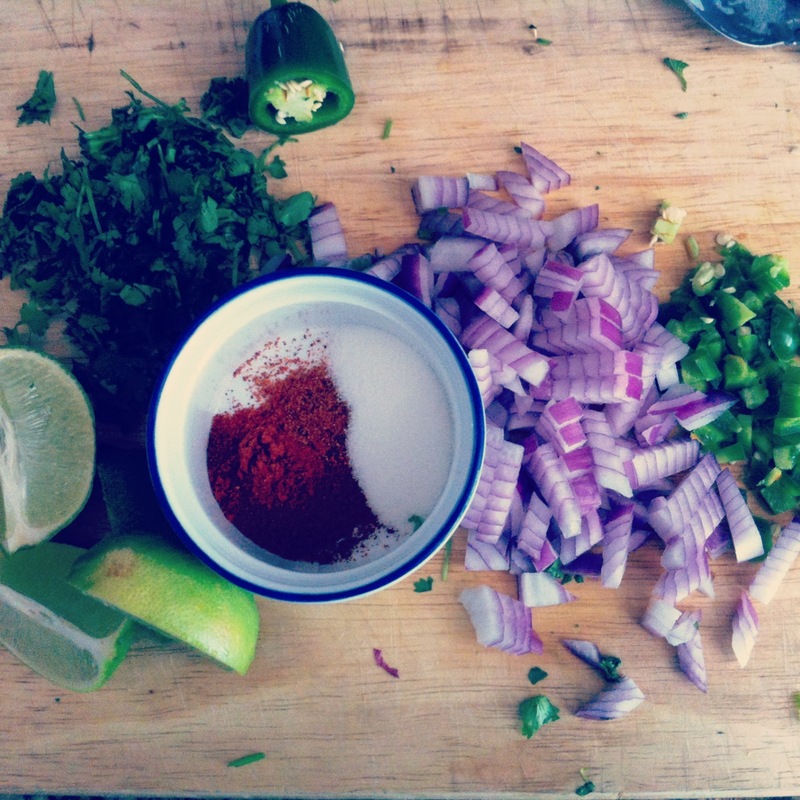 In a medium bowl, stir together lime zest, olive oil, soy, jalapeno, cilantro, garlic, sugar, chili powder, and cayenne. Peel the shrimp, leaving on tails. Rinse, and then pat dry with paper towels. Put the shrimp in a large zipper bag, pour the marinade over, close the bag, pushing out any air and rub the marinade into the shrimp. Refrigerate for 20 minutes. ( I refrigerated for about 2 hours until we were ready to BBQ). Preheat grill to medium-high. 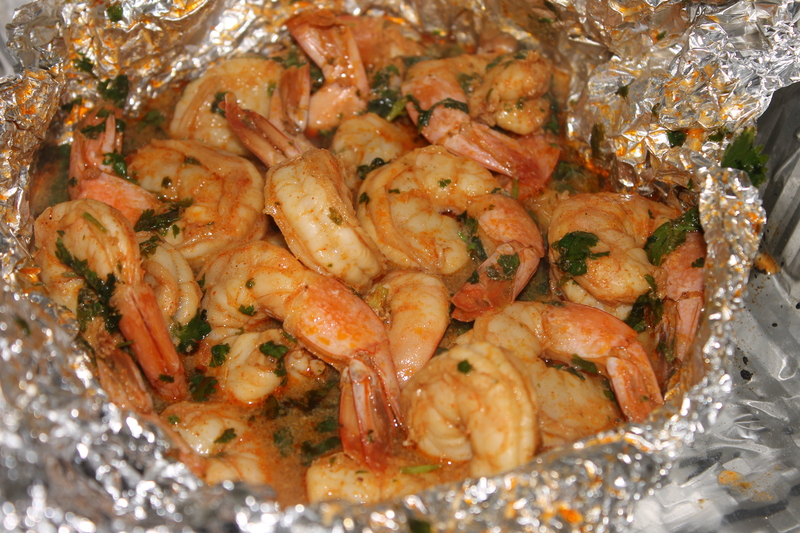 You can skewer the kabob, or if you don’t have kabob sticks, simply stick the shrimp w/ marinade in foil and close tight. Place on grill and wait about 6 -7 minutes or until finished cooking. Prawns cook pretty fast, so keep an eye on these bad boys. chicken stock (optional) you can cook the quinoa in this for more flavor- I did not. Cook the quinoa as you would rice. for 1 cup quinoa use 2 cups water or stock. Set aside when done. In a separate pan, saute parsley, jalapeno, bell pepper and zucchini with olive oil. I don’t like to cook my veggies all the way through for quinoa salad because I like the extra crunch. 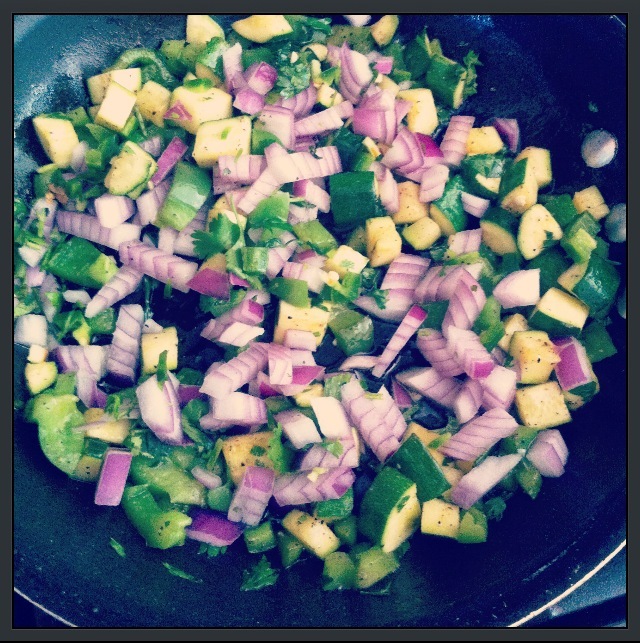 When veggies are near done, add red onion and mango in with veggies just to give a little warm up ( 2 minutes max). 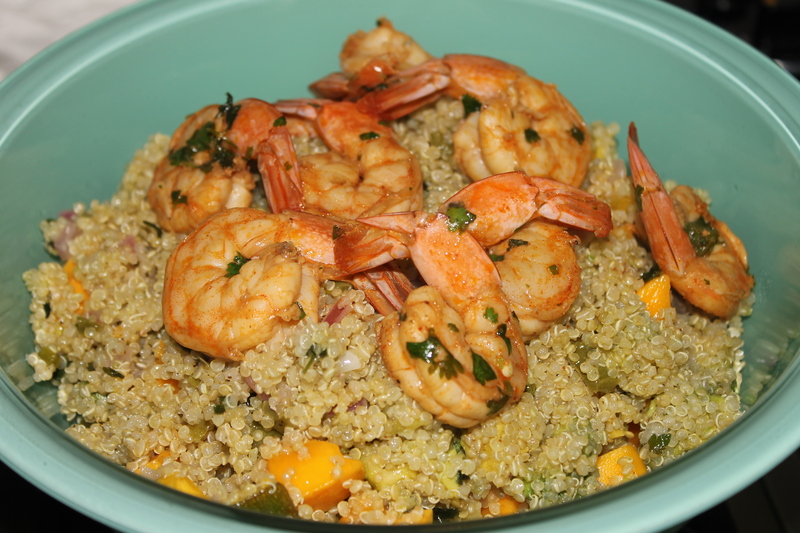 Add all ingredients together with quinoa. I like to add a little more olive oil, salt, pepper and and juice from lime to add flavor to salad. Top with prawns and you are done! Add some corn tortillas and this is great for tacos! Enjoy!